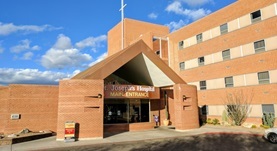 Dr. Boyd Ashdown graduated from University of Utah School of Medicine and did his internship at Exempla St. Joseph Hospital. He has also done a residency at the Duke University Hospital and a fellowship at the University of Washington. 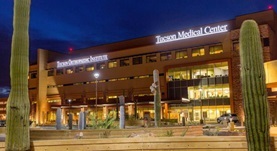 He is a board-certified radiologist and currently practices at Carondelet St. Joseph’s Hospital and TMC Tucson Medical Center. Dr. Boyd has also contributed to three research papers. Dr. Boyd Ashdown has contributed to 3 publications. Enterobacter cloacae infection of an expanded polytetrafluoroethylene femoral-popliteal bypass graft: a case report. Musil, I., Jensen, V., Schilling, J., Ashdown, B., Kent, T.; J Med Case Reports. 2010. Hydrogen peroxide poisoning causing brain infarction: neuroimaging findings. Ashdown, B. C., Stricof, D. D., May, M. L., Sherman, S. J., Carmody, R. F.; AJR Am J Roentgenol. 1998 Jun.